Bring the sesame oil to medium-high heat in a wok or large pan. Add the garlic and stir for a minute or two. Add the carrots and continue cooking for 3 minutes or so until they start to soften. 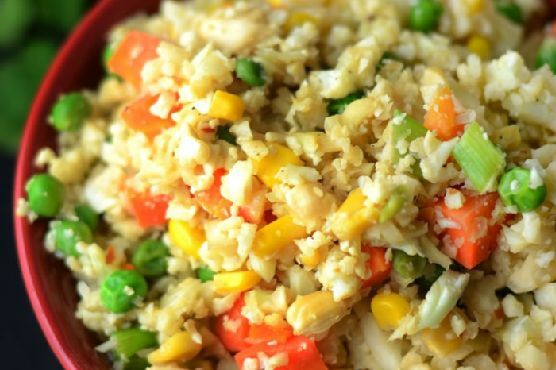 Add the red pepper flakes, riced cauliflower, peas, green onion, peas, corn, soy sauce and cashews.Cook for about 10 minutes until the cauliflower is tender, stir often. Fried Rice can be paired with Chenin Blanc, Gewurztraminer, and Riesling. The best wine for Asian food depends on the cuisine and dish - of course - but these acidic whites pair with a number of traditional meals, spicy or not.